Kenny was raised by a single mother and is the eldest of seven children. As a child, he worked hard to help his mom and support the family. Kenny worked at The Home Depot to pay his way through college and received his Bachelor of Arts in Economics from the University of California, San Diego. 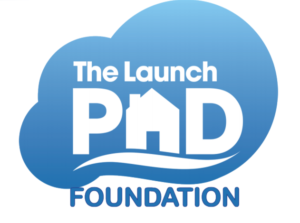 After 30 years of service, Kenny retired from The Home Depot and he and his wife founded The Launchpad Foundation to provide housing, life skills and career training to the homeless. His faith in God, community activism and desire to serve the community has played large roles in his life. Kenny embraces leadership opportunities and advocates for those whose voices are not heard. Kenny is married to Clarisa and they have two daughters. Kenny is living his dream and is striving to help others achieve their dreams. When it comes to making our community a better place to live, Kenny Hill is not just another politician who is all talk. Kenny Hill takes action. After 30 years of service, Kenny retired from The Home Depot and he and his wife founded The Launchpad Foundation to provide housing, life skills and career training to the homeless. But they did not stop there. From supporting our first responders who keep our community safe, to community clean up drives to improve quality of life and to establishing reading programs in our schools to promote literacy and education. Kenny Hill doesn’t just talk the talk, he walks the walk.